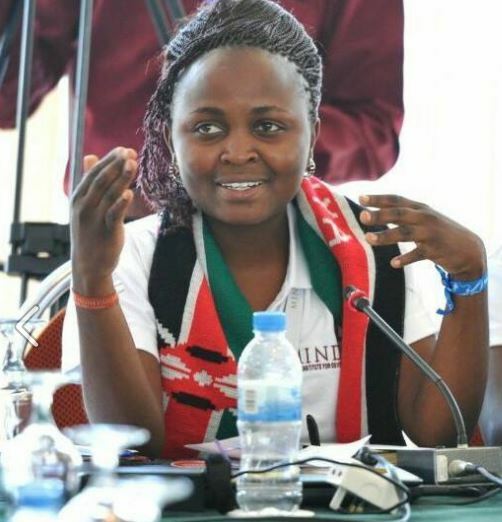 Grace Mageka is a pan African youth advocate, activist and leader who advocates for better youth policies in Africa. She is also a mentor, social change maker, a counselor and an innovator doing everything in her power to transition her community. She is a youth champion for the Post 2015 development Agenda at the Voice Africa’s future campaign which is an initiative for African monitor. She is the current East African Regional Coordinator at African Youth Association of Non-Governmental Organization (AYANGO). Her aspiration is to inspire young people to develop skills and networks to build their countries and communities. Interested in Making Money Online? Powered by Muthurwa.com and Modern Blogger Theme. © Copyright 2019- Kenyayote (Education Updates, Campus News and General Posts). (A brand of Kyote Internet Group-A limited company registered in Kenya under the Companies Act of 2015).